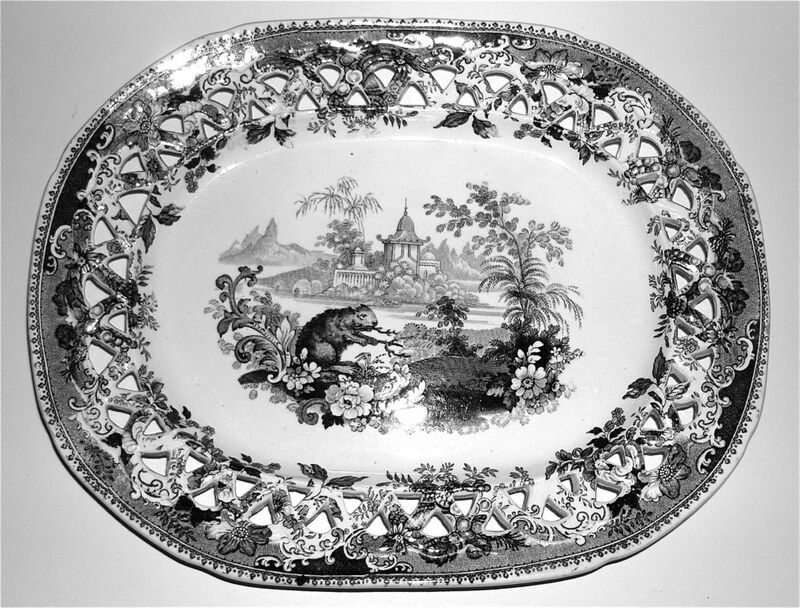 Dishy News - A Transferware Blog: A BEAVER IN INDIA? 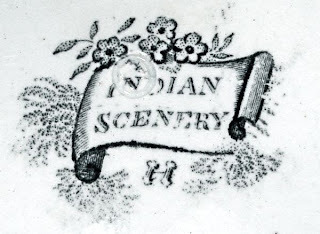 I was surprised to find a beaver in a pattern titled "Indian Scenery." 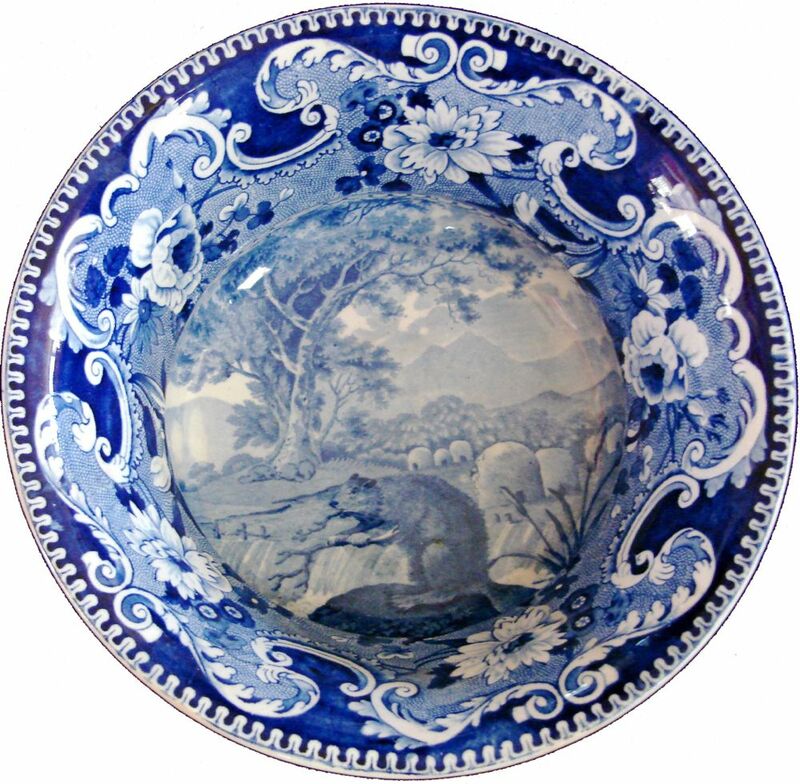 It is a North American animal. 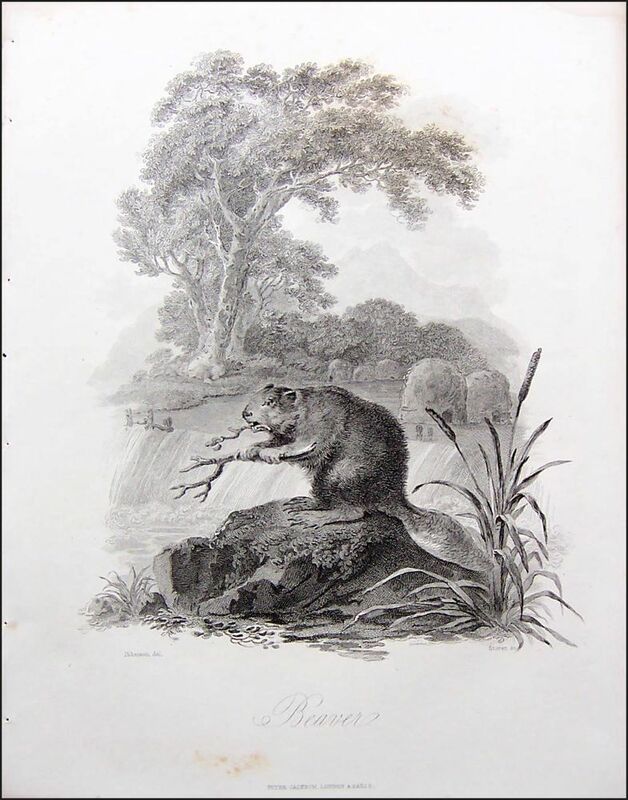 I was even more surprised to find the exact same beaver in a book on natural history; "The Cabinet Of Quadrupeds" by John Church. 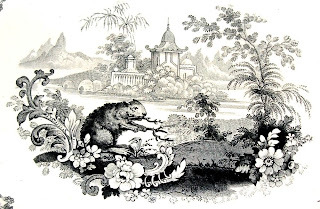 The beaver was surrounded by a fanciful background, so it took me awhile to realize that the animal was actually a rather realistic rendering. Well, sort of. "Beaver" from "The Cabinet Of Quadrupeds" by John Church (1805). 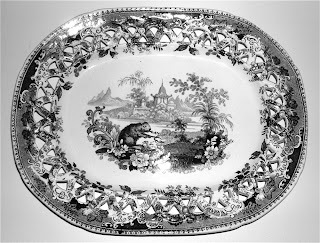 It was engraved by James Tookey and drawn by the artist Julius Ibbetson. Take a look at how the same source print was used by Enoch Wood & Sons. The beaver looks more at home. 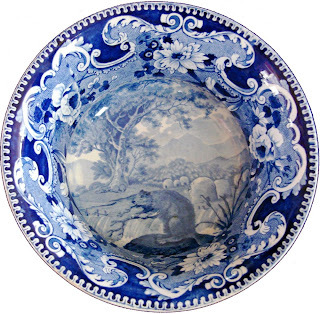 Even if he is in a washbowl!